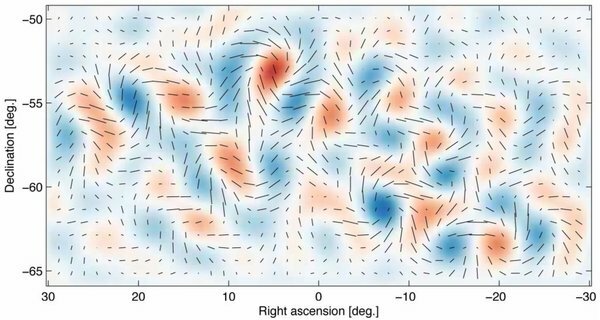 The big news of late is the discovery of gravitational waves from the very earliest time after the Big Bang. What hasn’t been widely reported is that this represents a huge bit of indirect evidence that multiple universes really do exist. Big Bang Discovery Opens Doors to the “Multiverse”. The top 10 science stories of 2012…not! CNN has no love for the room-temperature maser. It’s almost a new year, which of course is the time that everyone writes retrospectives of the year before. I don’t really want to write a retrospective; I’d rather start a new tradition: criticizing someone else’s retrospective. So to begin: I draw your attention to CNN’s Top 10 science stories of 2012. Let me start by emphasizing that this list was not written by a scientist. It was written by the CNN Health beat reporter. So maybe I shouldn’t be so critical: maybe I should give that reporter a pass. But come on, shouldn’t we expect at least half of the “top 10 science stories” to actually be science? Is that so much to ask for? Ideally, such a list should be written by several scientists, or at the very least one scientist. Having the CNN Health reporter compile a list of the top 10 science stories is a kind of near miss—like having Bob Vila comment on the top 10 advances in mechanical engineering, or having Tiger Woods list the best Cricket players in Australia (be sure to mention Michael Clarke, Tiger). I am a scientist, so I feel qualified to comment on CNN’s list. Therefore, in the spirit of new year snarkiness, let’s evaluate each “top 10 science story” for import, for scientific value, and for “wow” factor. And let’s see how the health reporter did. Remember, that reporter got paid for their work (and I am not getting paid). Go figure. OK, this is cool, and maybe some science will be done eventually—I am not aware of any actual results published yet in a peer-reviewed journal. But the Curiosity landing on Mars is in itself not science; it’s a remarkable feat of technology and engineering. So it shouldn’t be on the list. I don’t have a problem with this being on the list. This is big, and important, and exciting to most physicists. The one thing it is not is surprising: most physicists had faith in the Standard Model, and most expected the Higgs to be found in the 125 GeV/c2 range. Now the real work begins: determining all the properties of the Higgs, and all the interactions that it might participate in. Seriously? How is this science? Avatar-boy goes on a vanity jaunt to the heart of the ocean, and we pay attention why? This is an even more embarrassing entry than the previous one. An idiot pushes the envelope, and we call it science? Does the CNN Health reporter even know what science is? Planethunters.org discovered a quadruple star system with a planet in a (somehow) stable orbit. This is an interesting discovery and an impressive feat by an amateur collective. Maybe someone will get a journal article out of this someday, but that’s it. A bigger story is how many extrasolar planets have been discovered so far—854 by Dec. 24, 2012. So Alpha Centauri B has a planet. That’s nice. But didn’t we already cover extrasolar planets in the previous entry in the list? A good list should vary its entries: if you were listing your top 10 favorite comfort foods, and if #5 were pepperoni pizza, would #6 be sausage pizza? I didn’t think so. Sigh. What’s with all the space stuff? Hey CNN Health reporter: only a small percentage of physicists are astronomers, you know, and there are many other branches of science than just physics. Did you consider asking a chemist what’s hot in chemistry? Did you think of calling a geologist, or a neuroscientist, or a paleontologist, or a solid-state physicist? I didn’t think so. Hey CNN? Why didn’t you call Dr. Mayim Bialik? Dear lord, you’d think from this list that space exploration is the only kind of science that anyone does. And again: not a science story. It’s a technology story. Look up the difference, CNN. This is interesting, and may be important, but I have an issue with the list item as the CNN Health reporter wrote it. The baby’s DNA wasn’t constructed before birth. The DNA was present before birth, sure; fetuses do have DNA. The baby’s genome was sequenced before birth, which is a completely different thing. You’d think a health reporter would know better. So what’s the final tally? By my count, only of 6 of the items on the list are science, and that’s being very generous. Of those 6, the fields of science represented are astronomy, particle physics, astronomy, astronomy, astronomy, and biology/medicine. Nice, balanced list there. Way to go. So what stories did deserve to be on the list? I don’t know. I am a (mostly) solid-state physicist, and I could mention that researchers successfully used neutrinos to communicate, built a room-temperature maser, and found Majorana fermions. I’ll stop there, and let chemists, neuroscientists (that means you, Mayim), and geologists add items of their own. Why is it that astronauts “float around” in space? If you were to ask Bill O’Reilly or the Insane Clown Posse, the answer would be that it is a mystery. If you were to ask the average person on the street, the answer would be that there’s no gravity in space. Both answers are ridiculous, of course. It’s not a mystery; we have a very firm working knowledge of the physics of orbits. And there’s plenty of gravity in space: at 230 miles up, where the International Space Station is, the acceleration due to gravity is about 8.8 m/s2, which is only 10% less than its value at sea level. So why does the general public still not understand this whole “floating astronaut” thing? I don’t find this very helpful. And many physics instructors teach “weightlessness” in the same non-helpful way: by hand waving and saying that astronauts are in free fall, and that they are only apparently weightless. Unfortunately, to the novice this brings up a host of new questions: what’s the difference between apparent weightlessness and actual weightlessness? More importantly, if you’re in free fall, why don’t you crash into the Earth? The key idea which we physics professors should emphasize is that astronauts are in free fall, but they don’t hit the Earth because they are moving very, very fast horizontally. That’s it. That’s the secret. They are going so fast that they fall “around the curve of the Earth” so to speak. I don’t think this horizontal motion is emphasized enough. I’ll say it again: you need to go sideways to get into orbit. The next time you’re piloting a spaceship, remember the old adage: that which goes (straight) up will surely come back down (unless you reach escape speed). So don’t aim for infinity and beyond—aim for the horizon. Thinking about the fascinating Bethe-Weizsäcker-cycle.